The PSA nadir is the absolute lowest level that the PSA drops after treatment. PSA is a protein produced in the prostate. 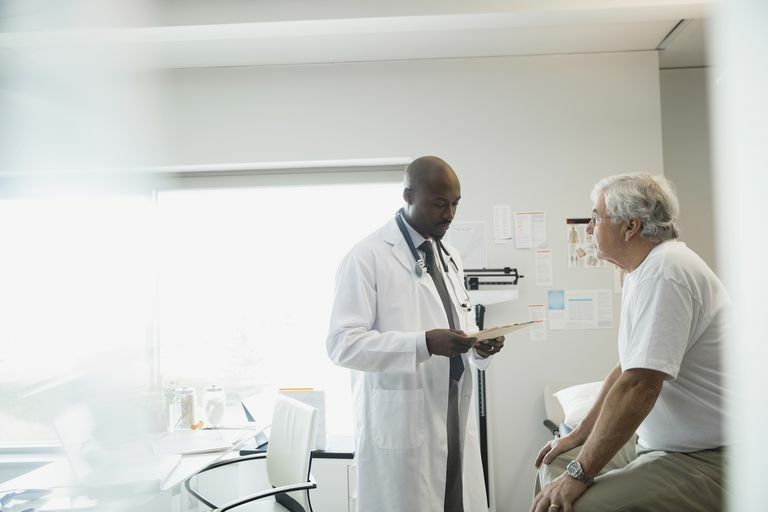 The PSA nadir can tell your physician a lot about how successful a given treatment has been, and can even give your doctor an idea as to how likely you are to have recurrent prostate cancer. Older age. Your risk of prostate cancer increases as you get older. Being black. Black men have an increased risk of prostate cancer compared to men of other races. In black men, prostate cancer is also more likely to be aggressive or advanced. Family history of prostate or breast cancer. If men in your family have had prostate cancer, your risk may be increased. Obesity. Obese men diagnosed with prostate cancer may be more likely to have advanced disease that's more difficult to treat. Cancer that spreads (metastasizes). Prostate cancer can spread to nearby organs, or through your bloodstream or lymphatic system to your bones or other organs. Incontinence. Both prostate cancer and its treatment can cause urinary incontinence. Treatment options include medications, catheters, and surgery. Erectile dysfunction. Erectile dysfunction can be a result of prostate cancer or its treatment, including surgery, radiation or hormone treatments. Prostate cancer treatment options depend on several things, from how fast the cancer is growing to how much it has spread. Radiation therapy uses high-powered energy to kill cancer cells. Side effects can include painful urination, frequent urination, and urgent urination, as well as rectal symptoms, such as loose stools or pain when passing stools. Erectile dysfunction can also occur. Hormone therapy prevents your body from producing the male hormone testosterone. Testosterone helps prostate cancer cells multiply. Cutting off the supply of hormones may cause cancer cells to die or to grow more slowly. Surgery for prostate cancer involves removing the prostate gland (radical prostatectomy), some surrounding tissue and a few lymph nodes. Chemotherapy uses drugs to kill rapidly growing cells, including cancer cells. Chemotherapy can be administered intravenously in your arm, in pill form or both. Biological therapy, also called immunotherapy, uses your body's immune system to fight cancer cells. One type of biological therapy called sipuleucel-T (Provenge) has been developed to treat advanced, recurrent prostate cancer. Mayo Clinic. Prostate Cancer. http://www.mayoclinic.org/diseases-conditions/prostate-cancer/basics/definition/con-20029597.